My great grandparents Wilfred and Sarah Fretwell owned the Blyth Tea Rooms in from c1939-1945. 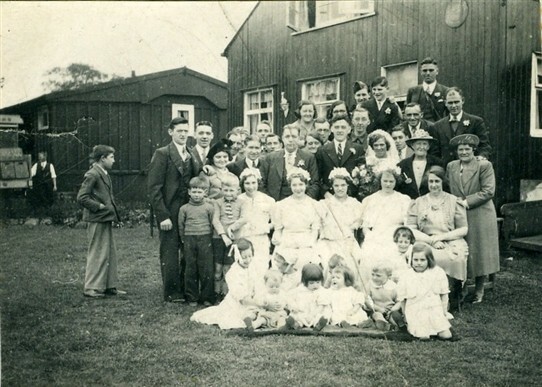 Wilfred and Sarah initially lived in Skegby with their 11 children. Wilf owned a newsagent shop and some land. They also had an Austin 7 car and would leave the children at home and have a ride to the countryside. When driving one day to Oldcotes through Blyth, they noticed that the café was for sale and after stopping for a cuppa they bought the café from the elderly couple who owned it. 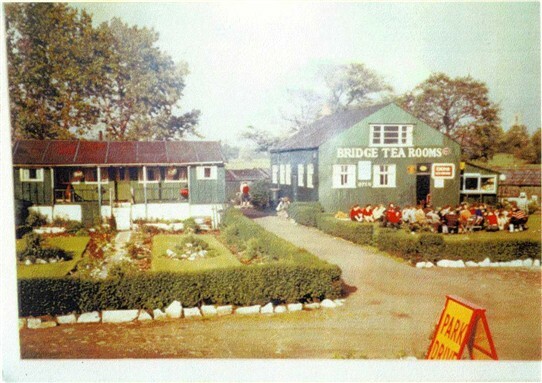 They all moved into the bungalow, which had a field at the side with 4 caravans for hire and a campsite. Upstairs in the café building was a large dormitory for the cyclists who stopped over, they usually arrived on Saturday evening and left early on Sunday morning. At the rear of the ground floor was a games room with a full sized snooker table and, next to the café at the front, there was the "pot-washing" room where Nanna and her siblings got lots of pot-washing practice! Every Monday morning, the girls had to strip all the beds and wash all the sheets. My grandparents Doreen Fretwell and Bernard Harris married at Blyth on 3rd June 1941 and the picture below was taken in front of the tearooms. The "pop-man" had just arrived and Doreen's dad was taking delivery and missing the photographs! Wilfred and Sarah moved to Skegness c1945 and opened a guesthouse. The tearooms were then owned by his son, also called Wilfred, and his wife Beaty. The colour picture at the top of this article was taken many years later but shows the cyclists outside the café. My Nanna says this must have been taken at the weekend because it was so busy. This page was added by Carolyn Harris on 29/03/2014.